To shoot 4K video on iPhone is very easy using a built-in feature. 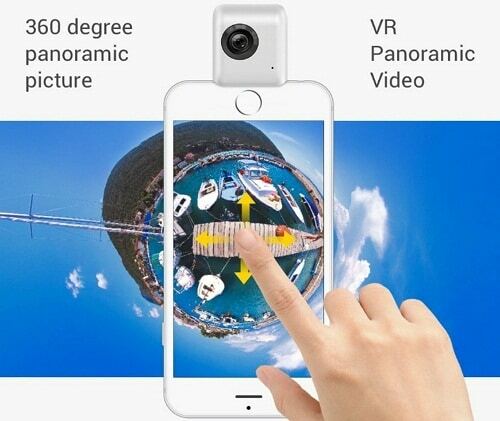 While Panoramic VR video generally in photography term we can say that the to take 360 Video on iPhone the process is different because it seeks a unique tool. Don’t worry. 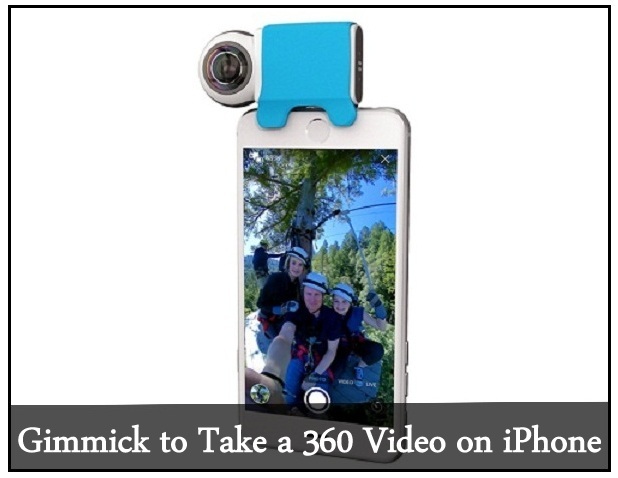 Now, you can transform your 12MG Pixel Apple iPhone into a powerful 360-degree camera. Follow and share this thread to your Wedding, Birthday party, and unforgettable moments carry on live on social media platforms like Twitter, Facebook, and YouTube using HD 360 degree recording tool. Very portable and lightweight, straightforward to use and quick setup would help you to add little more extra happiness to your occasion, and I recommended you need just invest one time and create the right products for all time. With happiness here’s I listed some cool HD camera to shoot 360 videos all time. You must have the third-party camera lenses to shoot Photo. It doesn’t matter where you are, just open up camera case, Plug tool’s lighting adapter into Phone lighting port and get started to shoot live 360-degree video. The Giroptic iO is one of the good review tiny camera tools to turn your Apple Phone into a 360 video recorder. We know that it is a little bit pricey, although, it is fully supported with brand new iPhone to old Apple iPhone like iPhone 5S & later and iPad Mini 2/3/4, iPad Air 2, iPad Air 3 and iPad Pro 12.9’’ and iPad Pro 9.7’’. →Unique real-time image processing technology. →360 degree live streaming gives Seamless experience. → Useful on Concert, Travel, Parties, VR (virtual reality). Shoot and share Ultra HD 360degree video directly at from your event place. To far-reaching your event worldwide, you should try picked up accessories. We hope you would like to make your FB timeline, Twitter feed and YouTube channel more attractive than ever before. It is a stunning way to get more page likes, increase subscribers and keep your Twitter followers Up. Samsung Gear 360 is also an alternate exclusive option to record HD VR Video. Are you exploring to shoot Air video recording and Photography? Let’s a closer look and try this affordable drones. Do you have any other auxiliary accessories to take 360 Video on iPhone (Virtual reality video)? Please let’s share in the comments. If you have the processing unit of the iPhone Camera Accessories, then you can send us your product for the Review. We’re ready to reveal your things on our blog. You can also contact us on Google Plus, Like on Facebook, and follow on Twitter.